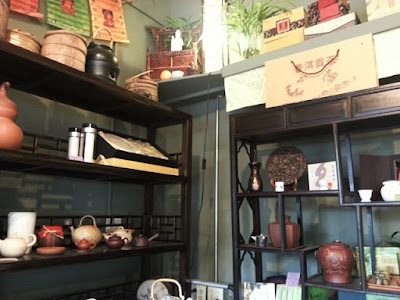 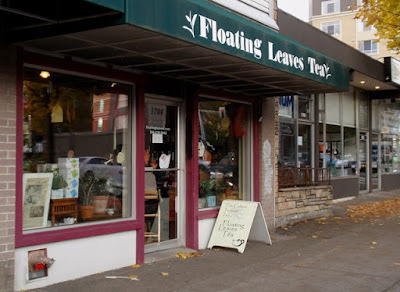 A few years ago, I visited Floating Leaves Tea very briefly to buy my first and much loved gongfu tea tray. 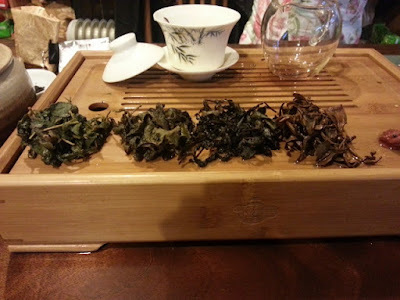 Only recently was I finally able to make an overdue return visit to taste some of the wonderful teas the owner, Shiuwen Tai, has available. Floating Leaves Tea has been doing business in Ballard since 2002 and is located on NW Market Street near 17th Avenue NW. The tea shop is small, yet offers a warm, welcoming space with plenty of seating at the tea table. 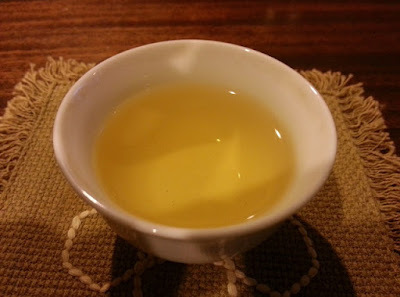 The tea shop specializes in Taiwanese, Japanese, and Chinese teas, including a notable variety of seasonal, aged, and competition grade oolongs. 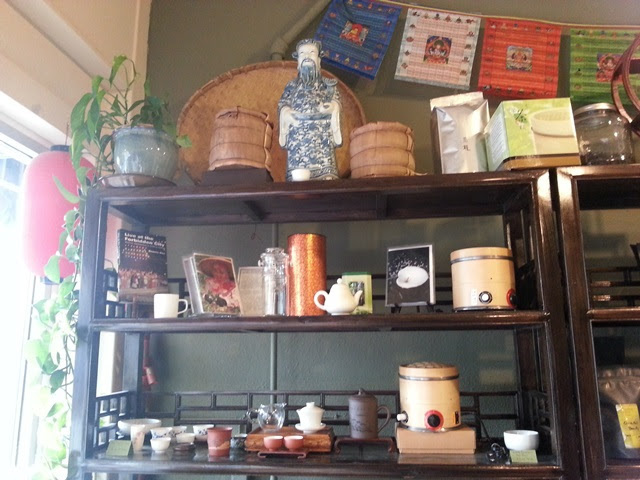 The teas can be purchased pre-packaged or by-the-ounce and there is a selection of teaware available to complement your tea selection. Prior to my visit, Shiuwen held a tea blending workshop and showed me her lovely version of 8 Treasure Tea. She kindly offered a tasting of four oolongs: Nantou Four Season, Gui Fe, Dong Ding, and Oriental Beauty (high grade). 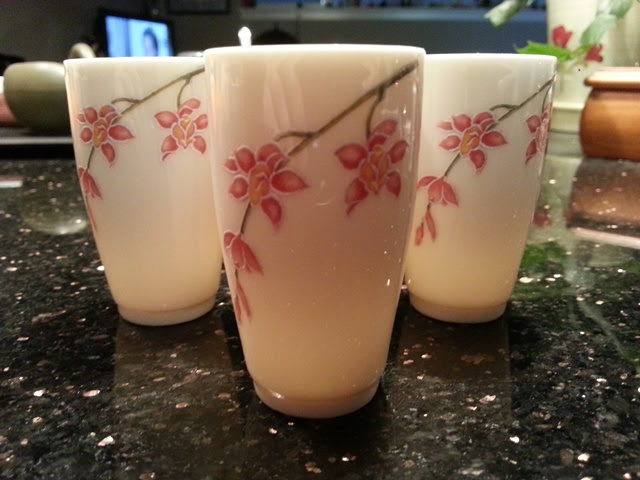 All were delicious and, of course, some found their way into my tea cabinet at home along with these beautiful aroma cups. 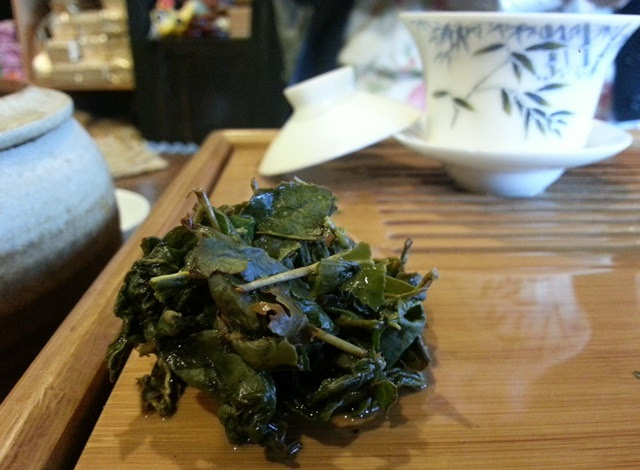 Thanks to Shiuwen and the couple that joined us at the tasting table for making me feel welcome and sharing good tea and travel stories. 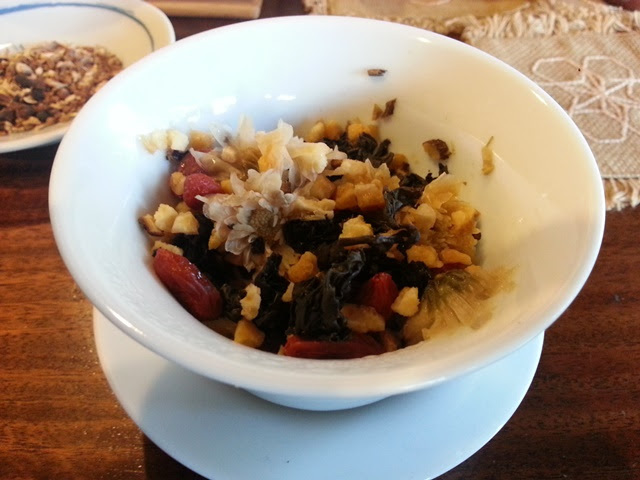 I'm looking forward to the next visit!